There is one Turks and Caicos golf course located on Providenciales – Provo Golf Club. Rated one of the top championship golf courses in the Caribbean by Caribbean Travel & Life, it is located just a 10-minute drive from the Alexandra Resort. The 18 hole, par 72 golf course was designed by Karl Litten. The golf club features the Fairways Grill for casual meals, a well stocked pro shop, and tennis courts illuminated for night play. PGA trained professionals are available to offer group and private lessons. Ready to tee off? Contact our Guest Services and they’ll be happy to make arrangements for you. Providenciales presents some great shopping opportunities to find deals on jewelry, designer resort apparel, and fine artwork. Our very own boutique next to Guest Services in the lobby sells some attractive jewelry and clothing. 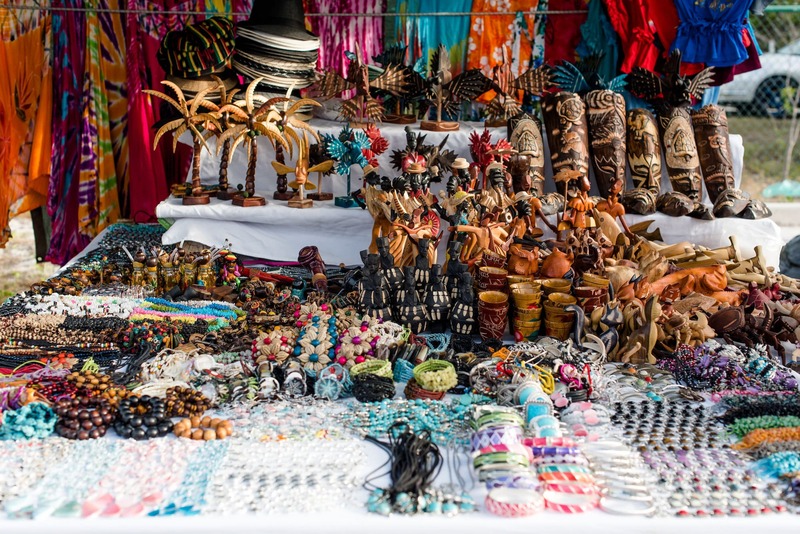 Outside of the resort, you can easily find some terrific souvenirs and artwork during your visit as the Grace Bay area has two shopping plazas – Regent Village and Salt Mills Plaza, both of which are a 20-minute walk away, or just hop on one of our complimentary bikes. Regent Village has art galleries, clothing stores, souvenir shops and jewelry stores, several of which are duty free, as well as a number of restaurants featuring French, Thai, Italian, Indian and international cuisine. Just across the street is the Salt Mills Plaza, another shopping center where shopping for Turks and Caicos souvenirs is easy and affordable. Here you will find more apparel and jewelry shops, a popular art gallery, Cuban cigars, and more. Salt Mills Plaza is also home to the Potcake Place, a rescue center for the native “Potcake” dogs on the island. You can take a dog out for a walk one day, or even help the center by taking one back to the US which has secured a forever home family. Additionally, the Ports of Call retail complex is another shopping area in the Grace Bay area that tourists enjoy visiting. A number of souvenir shops, a dive shop, and restaurants are located at Ports of Call. Be sure to visit the popular weekly Fish Fry dining event in nearby Bight Park which takes place every Thursday evening and in addition to food has several booths with local artists selling their crafts. Caicos Dream Tours offers personalized service for half and full day island tours on their fleet of modern powercats. The company has been making vacation getaways in Turks and Caicos memorable for island visitors for over a decade. To book your Caicos Dream Tour excursion simply contact our front desk or Guest Services.